Hyundai has released pictures of the all-new i30, which is set to be shown at the Frankfurt Motor Show. The new model follows the design style of the recently introduced i40, with ‘fluidic sculpture’ design used to create flowing lines and give a handsome, dynamic appearance. The new-generation i30 will be available with a choice of three petrol and three diesel engines, with power outputs ranging from 90PS up to 135PS. The 1.6 diesel is expected to be the most popular engine and delivers 128PS giving the i30 a 0-62mph time of 10.9 seconds. The petrol engines have been designed to balance performance and economy with the 1.6-litre GDI (gasoline direct injection), generating 135PS and 164Nm of torque. A BlueDrive version will be available too offering low emissions and strong fuel economy. Thanks to features such as Integrated Stop & Go (ISG), low-rolling resistance tyres and an alternator management system, the 1.6 diesel has CO2 emissions below 100g/km. Quality inside has improved and the i30 comes very well equipped as standard too with top models getting a sat nav system with a touchscreen control. Other equipment includes dual-zone climate control and the addition of a panoramic sunroof which has been designed to open fully or tilt open. The handling should be better too thanks to Hyundai’s new Flex Steeroption. With three operating modes – Comfort, Normal and Sport – the system can be used to vary the level of steering assistance and feedback in order to suit driving conditions and make the journey more pleasurable. 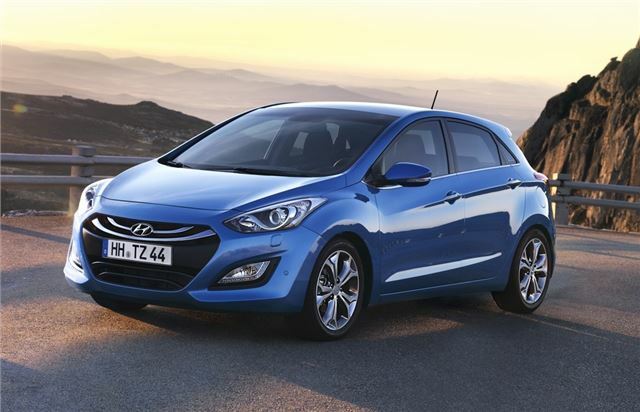 Like all other Hyundai models, the new i30 comes with Five Year Triple Care. The five-year warranty has no mileage limit, roadside assistance is included for five years, and vehicle health checks are performed annually, providing peace of mind for owners.